Lockheed Martin Aeronautics Co., part of Lockheed Martin Corp., in Fort Worth, Texas, won a $22.7 billion contract from the U.S. Department of Defense (DoD) to deliver 255 of its F-35 fifth-generation military combat aircraft. 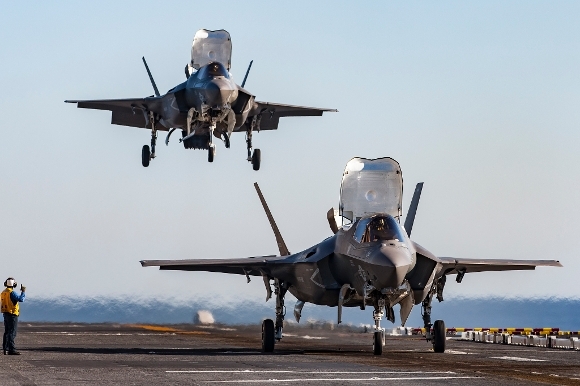 The contract modification to a previously awarded firm-fixed-price advanced acquisition contract (N00019-17-C-0001) is valued at $22,712,874,822 for Lockheed Martin’s F-35 Lightning II family of single-seat, single-engine, all-weather stealth multirole fighters designed to perform ground-attack and air-superiority missions. The Naval Air Systems Command, Patuxent River, Maryland, is the contracting activity. 60 F-35s for Foreign Military Sales customers (60 F-35As).